If you’ve ever wondered what on Earth the kids in your life are talking about, there’s a podcast that may be able to help. As they are both avid podcast listeners, and Unland is the founder of the Alberta Podcast Network, it made sense to have the mics on for the resulting conversation. You can hear Elizabeth “teensplain” her media culture to her mom once a month. On occasion, Elizabeth brother Jonathan makes an appearance as well. If you want to see them in real life, That’s a Thing?! is putting on a live show at Edmonton’s SkirtsAfire festival on March 17. A. People who don’t understand what kids these days are on about will find our podcast illuminating. But this isn’t a “get off my lawn” kind of thing — Karen isn’t so much disdainful as amused and fascinated, and Elizabeth takes a bit of an anthropological approach to it. We laugh a lot, and it’s kind of a chance to overhear a mother and daughter having a conversation across the generation gap. Q. What’s the most interesting comment you’ve received from a listener? A. I’m not sure the comments will make any sense in isolation, but we’re proud to have former Edmonton Journal columnist and now Canadian senator Paula Simons as a fan, and it’s pretty cool to hear her reactions to the shows. Q. What podcasts do you listen to? A. We listen to way too many podcasts. Elizabeth likes everything that Night Vale Presents puts out, as well as Sawbones, You Must Remember This, Let’s Find Out, and a lot of true crime. 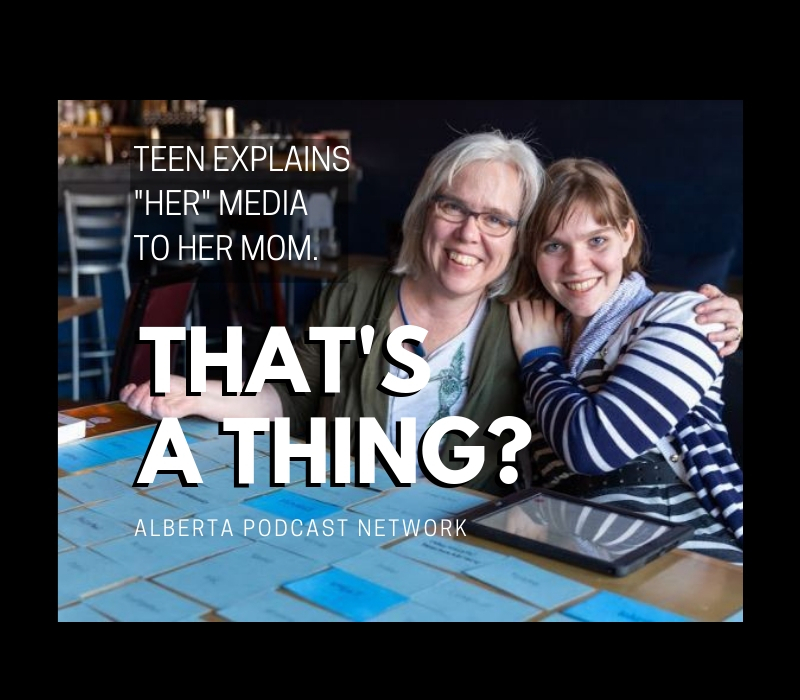 Karen listens to as many members of the Alberta Podcast Network as she can every week, plus a lot of Slate Gabfests, On the Media, Recode Media, Canadaland and Reply All, among others. Q. Why do you think people enjoy podcasts? A. They are hands-free, eyes-free entertainment that you can program yourself. You can hear people speak passionately about the very thing you are passionate about. Elizabeth: I wanted a green burial — why do I have a headstone? A. Don’t forget to floss (or do) — it explores the music and dance trends of both our eras, and it was fun to research. Be sure to connect with That’s a Thing?! on Twitter and Instagram. Over the next several weeks, Todayville will introduce you to members of the Alberta Podcast Network, so you can invite even more Alberta-made podcasts into your ears! You can find That’s a Thing?! and dozens of other shows at albertapodcastnetwork.com. When disaster strikes, our ability to manage it depends a lot on the lessons we’ve learned from past incidents and experts in the field. EPIC Podcast brings those lessons to life. 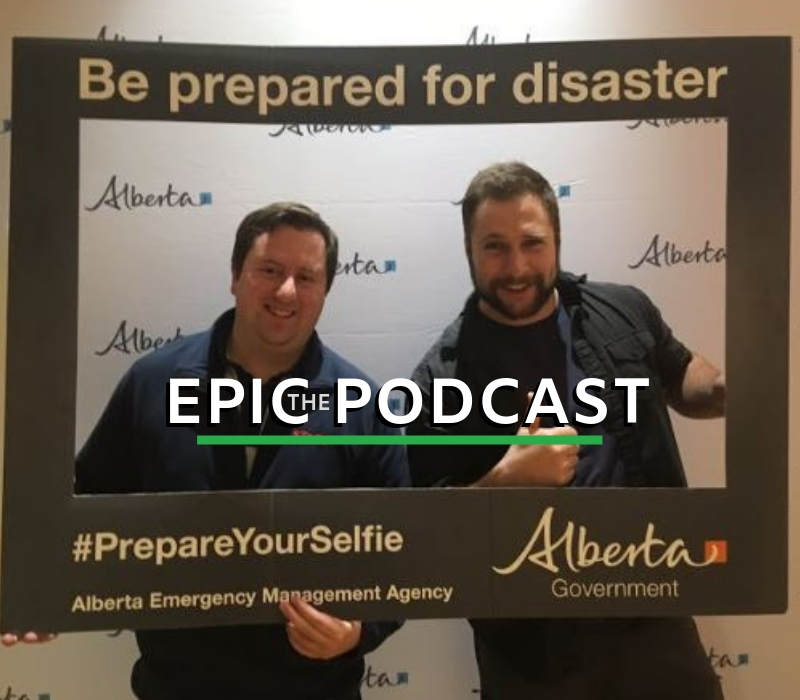 EPIC stands for Emergency Preparedness in Canada, and that’s what the podcast delivers: current, relevant, Canadian content regarding disasters and their management. Dr. Josh Bezanson and Grayson Cockett interview industry leaders, explore emerging research, and share practical tools of the trade. Their aim is to transfer knowledge to other emergency management professionals, but it’s pretty interesting stuff to regular folks, too. We all have a role in preventing bad things from happening, or mitigating the damage when they do happen. Bezanson and Cockett are clearly passionate about what they do, and they have the qualifications to back up what they say. They are both members of Canada Task Force 2, the disaster response team based in Alberta. Bezanson is an emergency medicine resident who also has a journalism degree, and Cockett has a master’s degree in disaster and emergency management. The podcast usually comes out about once a month, but they’re planning a blitz for Emergency Preparedness Week starting May 6. So be prepared for that by subscribing! A. They’ll get to hear subject matter experts, disaster scholars, and industry leaders discuss ideas, trends, and recent developments in the field of disaster management from a uniquely Canadian perspective. A. Enrico Quarantelli, a pioneer in disaster sociology. Q. How did you and your co-host meet? A. Through our various first-responder endeavours. A. He died the way he lived… in a state of total disaster! A. Our episode commemorating the 100-year anniversary of the Halifax explosion was particularly rewarding, as it truly was a formative event, and has so many rich lessons which are still relevant today. Be sure to connect with EPIC Podcast on Twitter or Facebook. Over the next several weeks, Todayville will introduce you to members of the Alberta Podcast Network, so you can invite even more Alberta-made podcasts into your ears! You can find EPIC Podcast and dozens of other shows at albertapodcastnetwork.com. Podcasting has provided two different but complementary avenues of self-expression for Terence C. Gannon. Both shows are beautifully produced, graced with a meticulous attention to detail and Gannon’s mellifluous voice. One can’t help but be transported with every new episode. A. Above all on The WorkNotWork Show, we hope to interest our audience in the subject of the interview and perhaps inspire them to pursue their own career dreams. Our hope for Not There Yet is that listeners will know and/or learn something they didn’t know before. A. Tiger Woods. But my angle would be to title the episode “Eldrick T. Woods: Pro Golfer” and really focus on the arc of his entire life rather than gush about his golf prowess. Any regrets? What else might have you done? Did you ever felt your Dad pushed you too hard? Do you ever hate the game? That kind of thing. A. To be honest, not many, but only for lack of time. When traveling, my wife and I listen to Serial and Revisionist History. Q.Write your own epitaph — what would it say? Q.What has been your favourite episode and why? A. 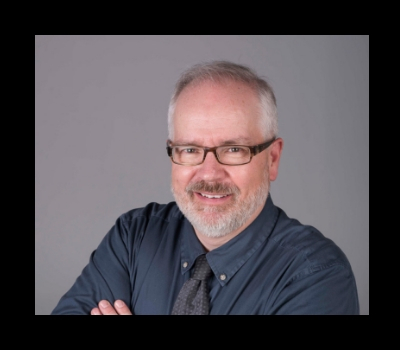 For The WorkNotWork Show, Episode 009 with Robert ‘Scratch’ Mitchell. The first few minutes of that episode are the best I have produced. The words, music and pacing all just seem to come together. It always brings a lump to my throat. For Not There Yet, my favourite is usually the most recent one, but if I had to pick one I’d say X-15. It’s a subject I find fascinating and it proved quite popular. After that, I think Mustang, given that it was the most experimental in nature and touched on all my favourite subjects. Be sure to connect with Not There Yet on Twitter, Instagram or Facebook, and with The WorkNotWork Show on Twitter, Instagram or Facebook. Over the next several weeks, Todayville will introduce you to members of the Alberta Podcast Network, so you can invite even more Alberta-made podcasts into your ears! You can find The WorkNotWork Show, Not There Yet and dozens of other shows at albertapodcastnetwork.com.